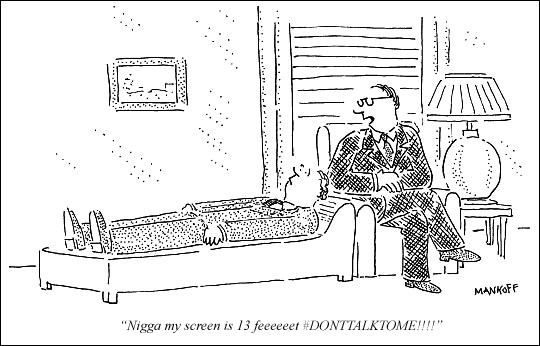 Recently, Kanye West has taken to Twitter, and many of his quotable tweets have been repackaged by someone with a lot of time on their hands, and have become the new captions on many New Yorker cartoons. Not my cup of tea (I didn’t find them either funny or ironic, just dull), but here is an example. Clicking on the graphic will get you to the source of many more of these re-worked comic frames.